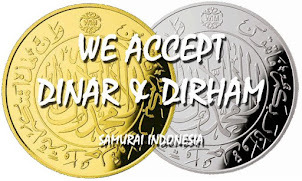 If you want to support us but don't want to get involved directly with our activities such as the training, you can still support us by donating for Samurai Indonesia. The donation will be used for paying the dojo's rents, buying some new bokuto to be borrowed by new deshi who still can't afford to buy his own bokuto, buying some hakama to be borrowed by new deshi who still can't afford to buy his own hakama etc, for paying the domain name extension, also for funding our ads so that Samurai Indonesia will be more nationwide, etc. Please securely donate through PayPal. Doumo Arigatou Gozaimasu.